The Adventure Club is committed to fulfilling our financial and ethical responsibilities not only to our members, but also to our sponsors, partners, alumni and regulatory bodies. We also affirm our commitment to the highest standards of safety, environmental stewardship, and responsibility in all our trips and events. For more information contact adventure.sju@gmail.com. 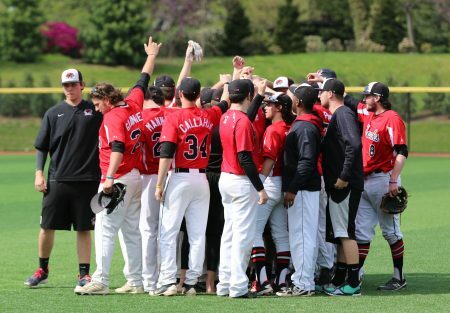 The club baseball program was formed to give an opportunity for male students who possess the skills necessary to play competitive baseball during the fall and spring seasons. The team is engineered to be a developmental group to enhance and hone all players’ skills. To achieve our above goals of player development and success in competitive games, we will hold weekly practices throughout the school year. We practice and host our home games at Smithson Field located on the Maguire campus. In 2012-2013 we became a member of the National Club Baseball Association (NCBA) which is a league that consists of hundreds of teams throughout the nation. We are in the District II-East Division where we compete in conference vs. Neumann, Penn, Rowan, Temple, and Villanova. We play a fifteen game conference season, with a three game series against each team. The top team in the conference goes on to compete in the regional tournament with the winner of that advancing to the World Series, which is hosted annual in Pittsburg, Kansas. Each season we also do play a few exhibition games vs. local non-conference club teams. We host tryouts for the team each year early in the fall semester. 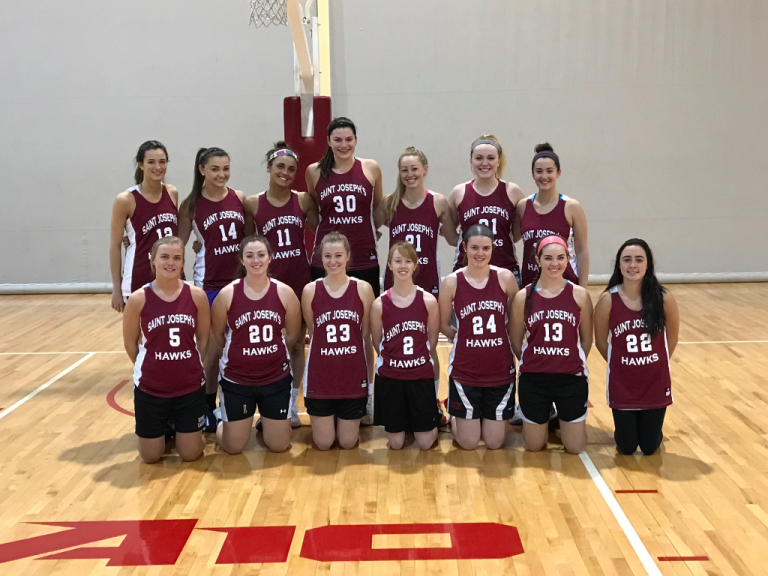 Club basketball is designed for players who competed in high school and wish to continue playing at a competitive level. While there is no structured league we are a part of, we play a very competitive schedule. Games include local division 3 school, community colleges, prep schools, games vs Penn at the Palestra, and Navy at the Naval Academy. Tryouts typically begin in early October. The Gaelic Football Club team was created in order to further grow the Irish sports community in America. 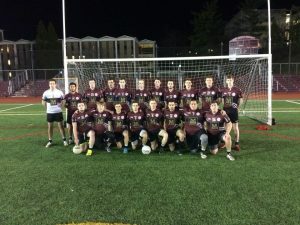 The club at Saint Joseph’s University is the first collegiate Gaelic football to be officially recognized by their university. The club competes against schools in the northeast like Boston College, Fordham University, Manhattan College, Iona College, Kean University with matches and tournaments each semester. No previous experience with the sport is necessary and the games are co-ed so all SJU students are welcome to join the team and learn a new and growing sport in America! 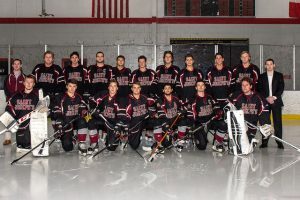 The Saint Joseph’s University Ice Hockey team was founded to provide a medium for aspiring hockey players to develop skills both on and off the ice. 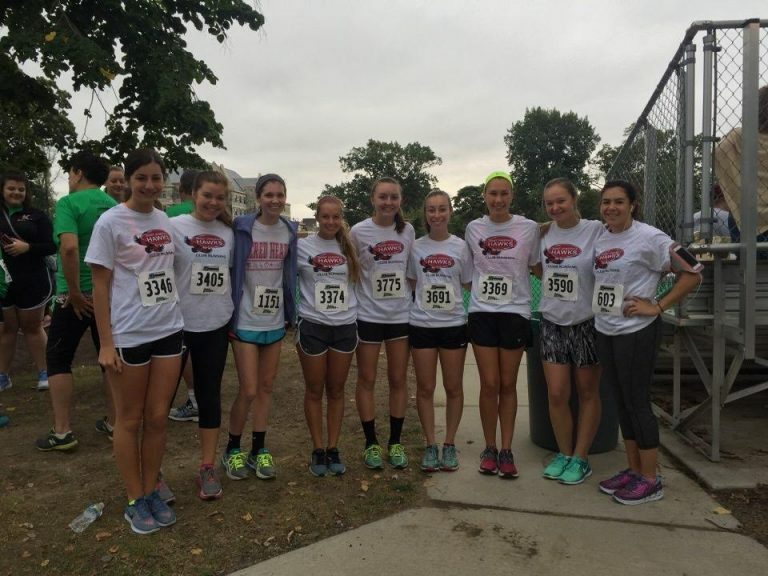 The SJU Organization is committed to developing personal responsibility and commitment as well as ice performance. 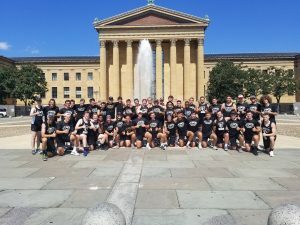 The Saint Joseph’s University Hawks are led by a highly skilled coaching staff, creating a healthy and positive environment for continuing success at the rink and in life. Players will have a forum to showcase their talents and experience a successfully team tradition. 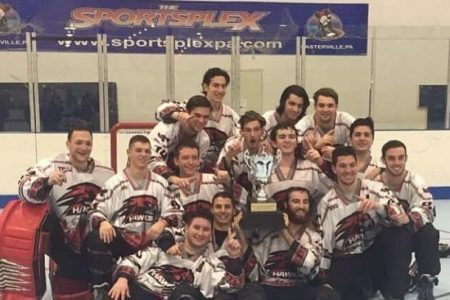 The Hawks offers a competitive and rewarding experience for its players in the Atlantic Coast Collegiate Hockey League (ACCHL) and is dedicated to excellence both on and off the ice while sustaining a positive and winning environment. The Women's Club Ice Hockey team is in its 4th year as a club sport for the 2013-2014 season. As a part of the DII division of the Delaware Valley Collegiate Hockey Conference (DVCHC) the team offers a competitive and exciting season. We hold 1-2 practices weekly and have 10-12 games per season (as well as the possibility of playoffs). It was founded by a very dedicated SJU student, Therese Dallegro '13, her freshman year. 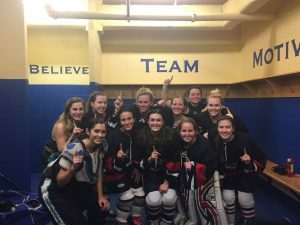 Her heart and soul was put into starting this club team for those who have either had experience with ice hockey in the past or would like to get a feel for the game. The team welcomes anyone who is interested in trying something new and we look forward to growing every season in strength and numbers. The team is led by coaches who know how to balance hard work and having a good time on the ice. Overall, its a nice way to escape campus life and join a great group of girls for an extra curricular activity. Hit the ice for our next season and see what the team is all about! Go Hawks!! 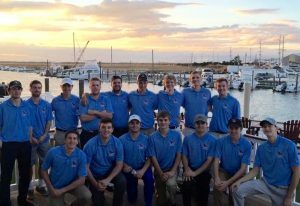 The Roller Hockey team competes in Division II of the Eastern College Roller Hockey Association (ECRHA), a proud member of the National Collegiate Roller Hockey Association (NCRHA), playing against some of the best programs across the country. They also compete in the Philadelphia Collegiate Roller Hockey League (PCRHL) against their rival Big 5 opponents. A perennial powerhouse, the team has soared to 5 PCRHL Brennan Cups. 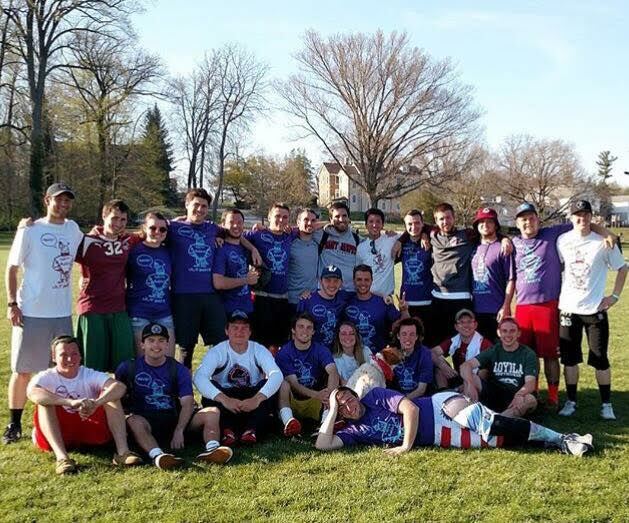 Men's Rugby is the largest drawing field sport on the campus and has become one of the most popular and well-supported programs on the campus. They hold all practices and matches on beautiful Sweeney Field and compete in Division I against some of the best programs in the country. In addition, they travel to numerous locations and offer the opportunity of selection for the United States National Team in either the Olympics or the next Rugby World Cup. Please take a look at their website www.hawksrugby.com for more information. 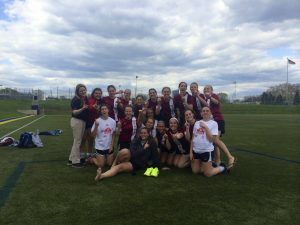 The Saint Joseph's University Women's Rugby team plays year-round in the DII Mid Atlantic Rugby Conference against Lasalle, Drexel, Rowan, Kutztown, Univerisity of Delaware and The College of New Jersey. We practice three times a week with games on Saturdays. We are always looking to expand our team and do not have tryouts or cuts! There is no experience necessary and we take anyone and everyone from any athletic background or none at all. We are looking for committed girls who want to try something new and create a bond both on and off the pitch. For more information, please contact sjuwrfc@gmail.com. Men's Club Soccer was founded at Saint Joseph's in the fall of 2008 under the guidance of Brendan Martin ('12) and Wes Harris ('10). The program, though in its first year, has great potential and a promising future. The pool of soccer talent at SJU is deep, giving us the top players, without asking of them the commitment of a Division 1 NCAA program. 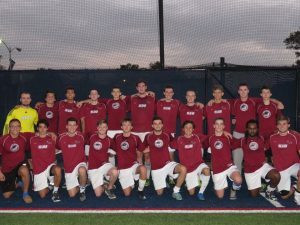 In its current state, the program is seeking to play in select indoor and outdoor leagues throughout the academic year. For more information contact sjumensclubsoccer@gmail.com. 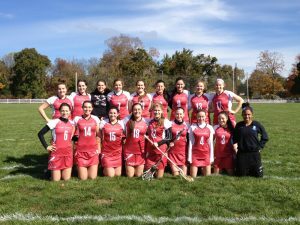 The SJU women's club soccer team is a way for students to play competitive soccer, without the demands of a Division I team. The team plays to learn more about the sport, improve skills, and of course have a good time. Turnout has been extremely popular since it’s inception, allowing the team to grow in skill and competitiveness. 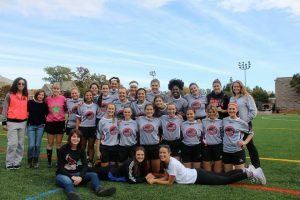 The Women's Club Soccer team was established in the Spring of 2006 and has thrived ever since. 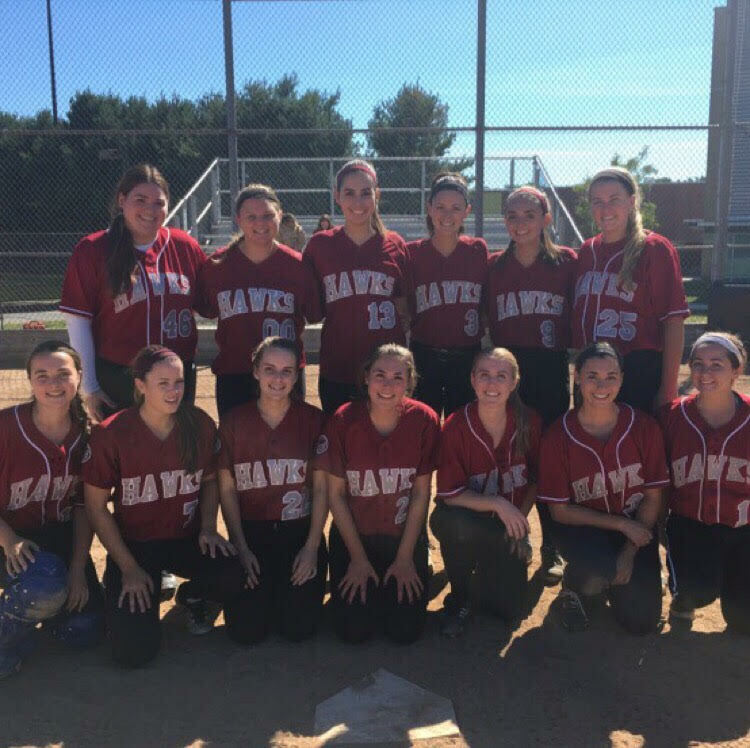 They compete outdoor in both the fall and spring, as well as, in an indoor league during the winter months. Home games are played right in the heart of campus on Sweeney Field, while the team does some light traveling for away games and tournaments. The team currently competes in the NIRSA Region One Collegiate Club Soccer League, playing against teams such as Delaware, UPenn, Villanova, and WCU. This year promises to be the best season yet. 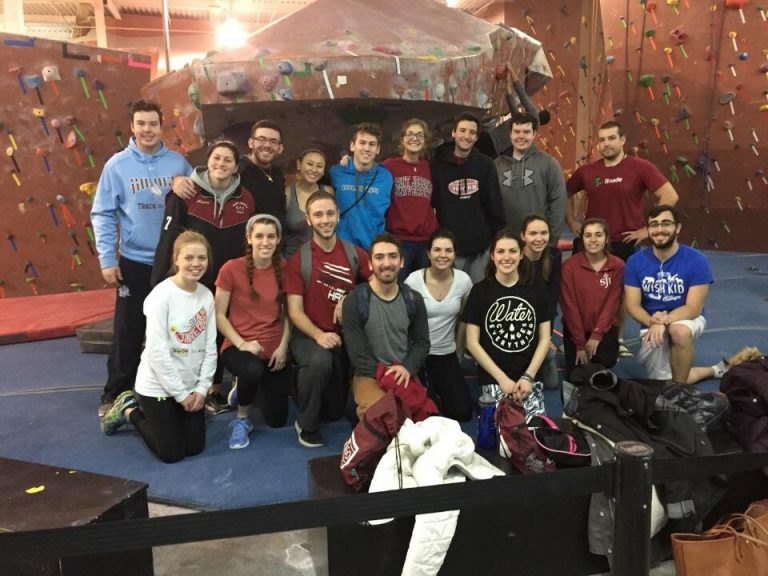 Saint Joseph’s University Club Swimming is a co-ed program that accepts all levels. 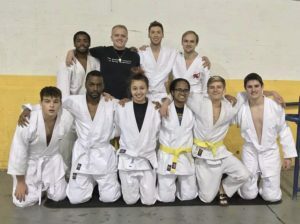 We practice several days a week, and hold regular meets with other schools, including hosting our own as often as we can, we are always looking for new members who care about the sport and can help make this season the best yet. For more information please contact sjuclubswim@gmail.com. The club tennis team was formed in the fall of 2005 and is open to both men and women students looking to play both casually and competitively. The club is active in the fall and spring semesters, including some court time indoors during the winter. 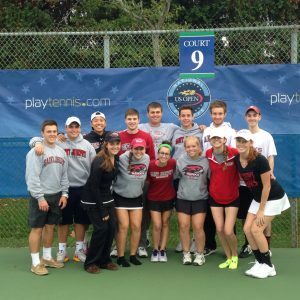 Saint Joseph’s participates in the Middle States Region of the USTA sponsored Campus League. 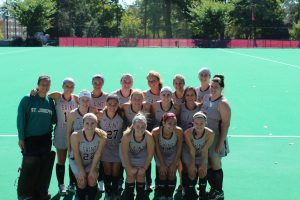 We have competed in tournaments and played several matches set-up through the Campus league against schools including Lafayette, Lehigh, Navy, Penn State, Rutgers, TCNJ, University of Delaware, UPenn, and Villanova. USTA holds a campus tournament each semester, and other matches are arranged accordingly throughout the semester. Club players are allotted court time typically twice a week on campus to practice (times may vary). Fees may include optional participation in the indoor courts. For more information please contact clubtennissju@gmail.com. 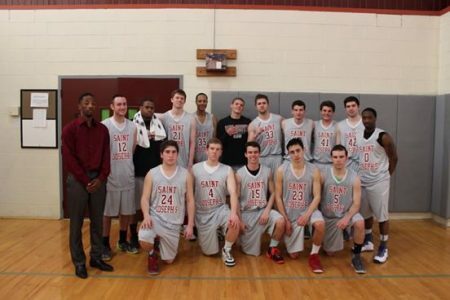 The Men's Saint Joseph's Club Volleyball team competes in the Mid-Atlantic Collegiate Volleyball Club (MACVC). Within this region there are six divisions Central, East, North, West, Northeast, and Non-Conference Opponents. 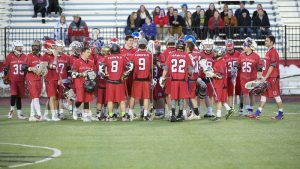 SJU is currently in the East division along with other schools such as Villanova, Drexel, and Temple to name a few. Last year we had one of our most successful seasons ever, we made the quarter finals of the MACVC championship tournament and we finished second in the East. We are a very competitive, small team, always trying to become better. In the future we hope to become one of the more competitively strong team known throughout our Eastern division. 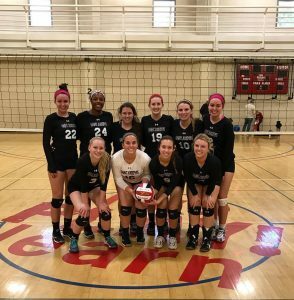 As members of the Northeast Women's Volleyball Club League (NWVCL), we compete year-round with club teams from surrounding universities and colleges. We not only scrimmage with local schools such as UPenn and Drexel, but also participate in tournaments that can sometimes require traveling. We are looking for women who have experience playing volleyball competitively in high school, and wish to continue their commitment to a team while having fun at the same time. The SJU club water polo team was established in 2009 by a group of high school friends that wanted to carry their involvement with the sport from high school into college. The team has now been passed down to a younger generation that are just as devoted to the sport as the founders. Water polo is an intense sport that requires endurance, strength, and a competitive mindset to succeed. It has been described as an aquatic version of handball and is an olympic sport. The team is constantly looking for new members in the hopes of growing and becoming more of a threat in our division, facing teams such as UPenn, Nova, UDel, and more. Water polo is an excellent way to get in shape in a fun, laid back, yet hard working environment. We practice at the O’Pake Pool from 8-10pm on Monday thru Thursday. No experience necessary at all, a competitive swimming background is well sought after however. For more information contact hawkswaterpolo@gmail.com.